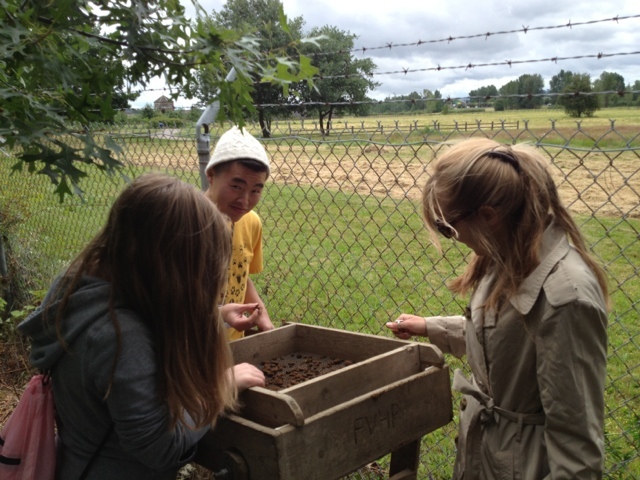 Today we started our second week in the field at the Fort Vancouver Village. It rained quite a bit over our Sunday-Monday "weekend" and continued off and on with showers today. While there was never a steady rain, there were lots of drips off the shelters and students got to try out their rain gear. 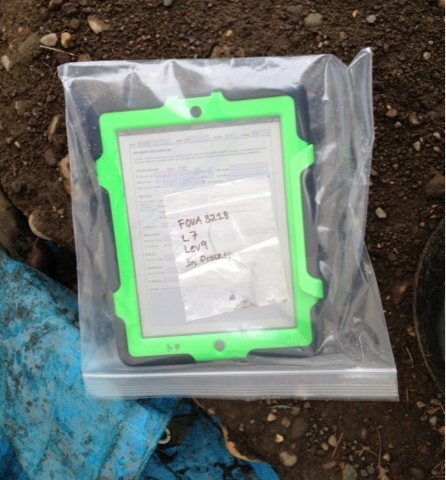 The iPads held up nicely in moist conditions and we verified that it is possible to use them inside a clear sealable plastic bag. On Monday I updated the form templates to correct a glitch in the other materials observed but not collected category. I also developed a simple photo log form to collect the information we need for each iPads photo images. The crew on Block L (Little Prouxl's House) started removing 5 cm of the house floor. They are finding some Hudson's Bay Company artifacts and some larger animal bones tied to the house. 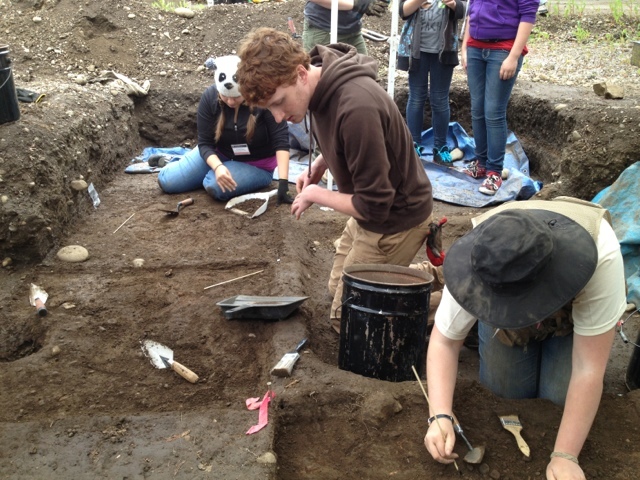 Some remnants of the gray clay floor remain from last year and the students are removing these patches. In the morning we had a visit from some Oregon Museum of Science and Industry (OMSI) campers who are learning about the science of archaeology for 1/2 a week and then heading out to John Day fossil beds for 1/2 a week. The campers helped screen and the students helped to explain some of the common field tasks like excavation and plan mapping. The students also showed the use of the iPads in field recording. Public Archaeology Field School Starts!